Event is free and open to the public. RSVP required by 26 May 2015. Fast changing media trends have changed how we consume and create news and influence policy. This interactive panel discussion between diverse media professionals will explore the changing roles that traditional and new media play in shaping the global youth agenda and the changing dynamics of political influence in the digital age. 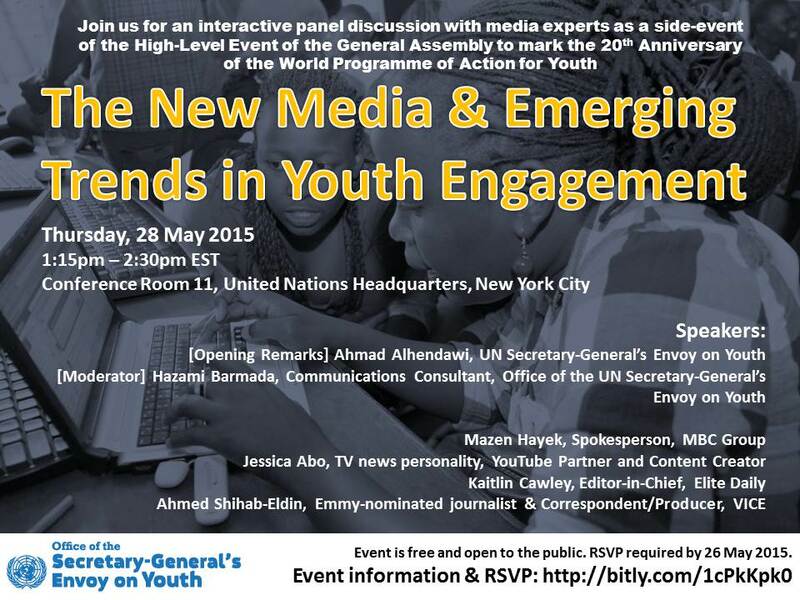 How is this generation of young people changing and influencing public opinion through use of the new media? How do digital advocacy and social trends impact policy? With digital media moving into the mobile world, how can policy makers engage with the mobile world? How social media changed the political participation for youth? How do we build communication channels with policy makers and media that engage young people? How can online engagement be better translated to have offline impact? 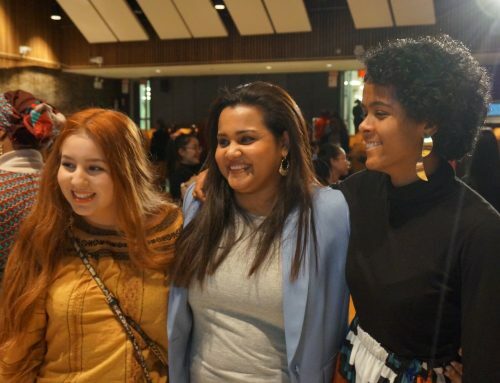 About: The event is organized by the Office of the UN Secretary-General’s Envoy on Youth as a side event for the High-Level Event of the General Assembly in commemoration of the 20th anniversary of the World Programme of Action for Youth (WPAY). The WPAY remains highly relevant and inspirational but a renewed commitment to its full and accelerated implementation is needed. 2015 is a critical year to generate new ideas on how to revitalize the commitments of governments and all other stakeholders to the WPAY and to prepare for the implementation of the post-2015 development agenda. Lean more about the High-Level Event at: www.un.org/pga/youth-wpay.